Last year Amazon opened its first bricks-and-mortar store to give customers an opportunity to experience products before they purchase. Interestingly enough though, you’d still be expected to download the Amazon app to see prices of products. Warby Parker, Birchbox and Rent the Runway have all also opened physical stores, and now we are seeing Etsy following suit too. So what’s so compelling about this digital to physical model? It’s the fact that 85% of consumers still prefer to shop in physical spaces, according to TimeTrade research. It’s the experience and the live interaction with the brand that is valued more than anything else. However, digital and physical spaces shouldn’t feel distinct and focus on completely different touch points of the customer journey. They should feel seamless, effortless and compliment each other without requiring too much cognitive brainpower from the consumer when interactions are encouraged. The tool to achieve this is already in your consumers’ pockets. 87% of consumers always have their smartphone at their side, day and night, according to a study by Google. 82% of smartphone users say they consult their phones on purchases they are about to make in a store. So, the challenge is to connect the dots and utilise digital to enhance physical experiences. Micro-moments on mobile are a powerful thing. 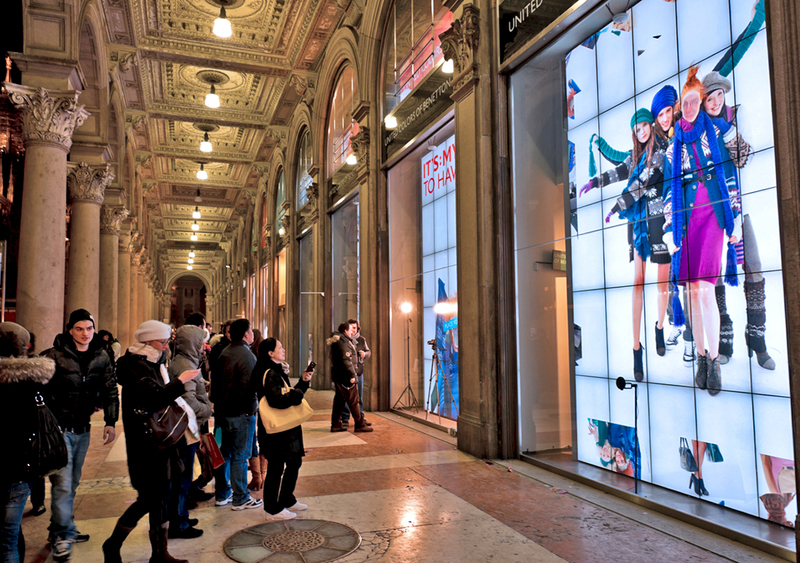 Now more then ever, brands need to use real-time data collected through these moments to personalise the physical shopping experience and add context that will help consumers to navigate their journeys. A brilliant example of this is Rebecca Minkoff’s flagship store in New York, which puts digital at the heart of its in-store experience. Through a set of clever integration apps like Paypal for check-ins, interactive and connected screens to browse items, smart mirrors in fitting rooms to request different sizes, and all this data being available real-time to the store associates to make the experiences seamless, Minkoff’s store is the epitome of state of art digitalised in-store experience. John Lewis is another iconic brand bridging the gap between digital and in-store, and regaining control over customer data by bringing technology empowered messaging into the physical space. The retail giant revealed its ambition to guide customers with messages and signposts through mobile, which allows for a more responsive, omnichannel experience. “It’s not only about giving customers the tools to help them have the omnichannel journey but it’s also about helping point them and guide them to the next best action” said Mark Felix, director of online trading at John Lewis at the IMRG Fashion Connect conference. Felix is absolutely right. Although the technology and tools are out there, accessible to everyone, brands still struggle to connect the dots when it comes to blending digital and physical experiences. What they still need to crack is how to extract data and utilise insight to inform their digital strategies and get closer through every touch point, without interrupting a seamless user experience. Adding personalised real-time context is the key to achieve this.